A specialist travel company is offering improved camping facilities for holidaymakers on adventure trips to Nepal. Backpacker travel insurance holders setting out to explore Mount Everest and the surrounding landscapes can take advantage of the well-equipped and modern resting places offered by World Expeditions. The firm says its aim is to design sustainable trekking tours that includes comfortable, but eco-friendly campsites. It said many of the older lodgings for trekkers rely on firewood from forests for heating and cooking. The World Expedition campsites avoid chopping down trees by using stoves fuelled by yak dung cakes. Besides providing amazing views of the surrounding mountains, the permanent sites provide amenities including well-furnished sleeping tents and dining spaces. 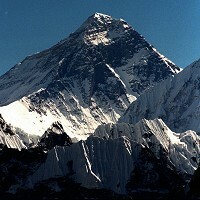 Nepal is a popular destination for trekking enthusiasts and adventure seekers. The world's tallest peak is one of its biggest attractions, but there are plenty of other nature trails for walkers and hikers to explore.